Phantom River Stone checks out the recent video released by SEGA which features Adam Koralik and Imran Yusuf in real-life Dobuita, and adds a few comments about some of the locations visited. 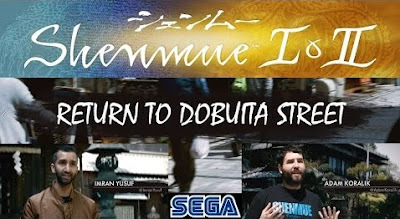 Earlier in the year, SEGA brought two Shenmue fans, YouTuber Adam Koralik (link to Adam's YouTube channel) and comedian Imran Yusuf (official website), over to Japan and filmed a video in Ryo's hometown of real-life Yokosuka on Dobuita Street and the surrounding area. The day of filming, 13th April 2018, was the day before they attended the SEGA Fes 2018 event held in Tokyo at which the Shenmue I & II collection was announced for modern platforms. (The collection is scheduled for release on August 21st for most countries; in Japan an official date has not yet been announced as of this post). 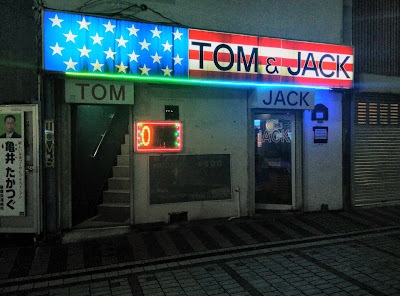 The building named "Tom & Jack": situated at one end of Dobuita Street, the building itself has a combined name, however you'll notice there are two separate doors, each labelled individually. The downstairs one, "Jack", leads to a small bar. When I visited, it even had an electronic darts machine in one corner, although the manager wasn't able to get it operating the night I was there. And behind the "Tom" door is a steep set of of stairs that lead up to a karaoke bar on the second floor (which I have yet to visit). Tom & Jack as seen at night (several months ago). 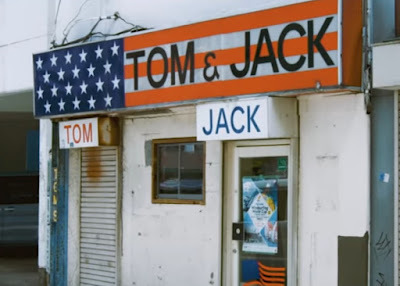 Tom & Jack, with new window! Speaking of connections to Tom from the game, one modern landmark that didn't feature in the video is Tom's hotdog truck, in actuality a kebab-selling truck which is almost always parked halfway along Dobuita Street and is the spitting image of the truck from the game. Perhaps permission to film wasn't received for it to appear in the video. The shrine at which Adam & Imran were interviewed is Suwa Shrine, a must-see spot for Shenmue fans visiting the area that is just around the corner from Dobuita Street. There is a large cherry tree on the upper level like the one at the Hazuki residence, which looks amazing in spring. The house with the distinctive tiled roof that can be seen behind Adam in the video is on the right as you pass through the middle level of the grounds. Overall the video makes for a great teaser for the upcoming Shenmue I & II collection, and the passion that Adam and Imran have towards the game comes through clearly. 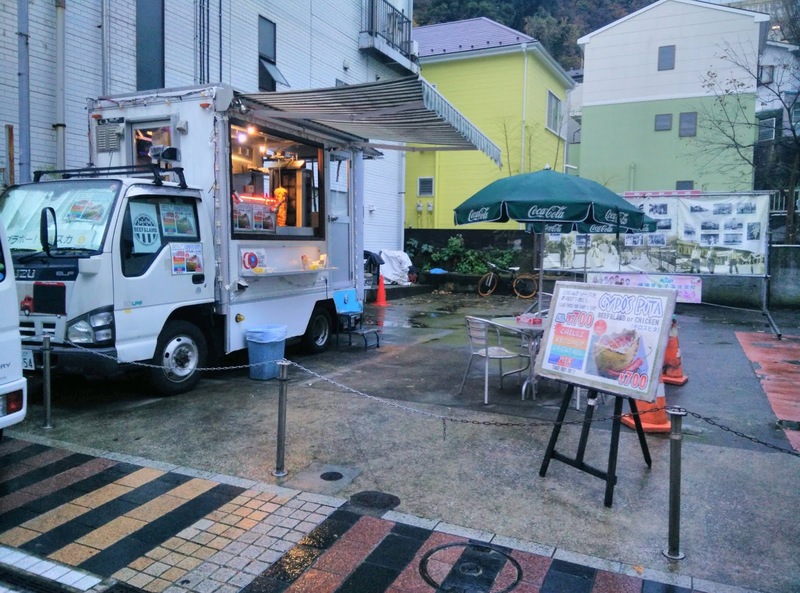 (And thanks to this release, I have a feeling that Yokosuka, and Dobuita Street, will experience quite an influx of tourists in the months to come).